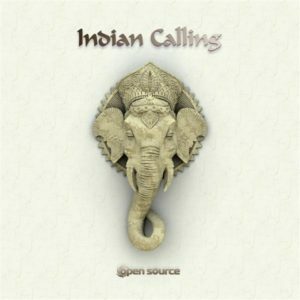 GL Records presents Open Source‘s 8th studio album Indian Calling. The album calls for unification of most psytrance styles as behind lies the comprehensive talent of Open Source to create all kinds of rhythms. Indian Calling is an extremely varied album with lots of transfixed vocals, natural drum sets, advanced psy-tech grooves, melodies seamlessly interwoven with Open Source’s melancholic mood and of course, a touch from the East. MP3 Download | FLAC Download | WAV Download · Download count: 10,553. Saying this album is “Nice”, is like saying that Mount Everest is a little bump! This album contains some of the most excellent tracks I’ve heard in all my years of psytrance (since the beginning). Fantastic stuff, Συγχαρητήρια Open Source! BLAST RELEASE!!!! THIS IS THE TYPE OF ALBUM EKTOPLAZM SHOULD INTRODUCE IN HIS SITE! ;) GRADE A PSYTRANCE LADYS AND GENTS! I totally agree with Liquid Mind (Aka No WAY). This album is far beyond Ektoplazm’s standards. Ektoplazm should upgrade to this level of quality. Exceptional work. Music is music, and I think this is a very awesome release. Ektoplazm also has very good other types of releases with different types of styles, but I’d say this one deserves a big thumbs up as well :) Good work! 5 stars – really good stuff. Groovy, pumping and melodic. Special kudos for “This is Paradise”, which is a pure blast of energy!